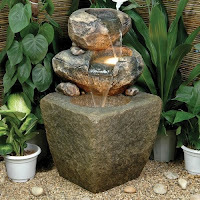 Description:Water fountains are indoor or outdoor constructions made from various types of materials which can beautify your garden or home. A water fountain is made through a process of recirculating water through a small water pump. Once known the process, patterns and materials remain at your imagination.You can use cement, sand, plastic, ceramics, glass etc. You have to keep in mind to place the pump in the spot where water accumulates. Thus the water circulates through the whole system without wasting resources. 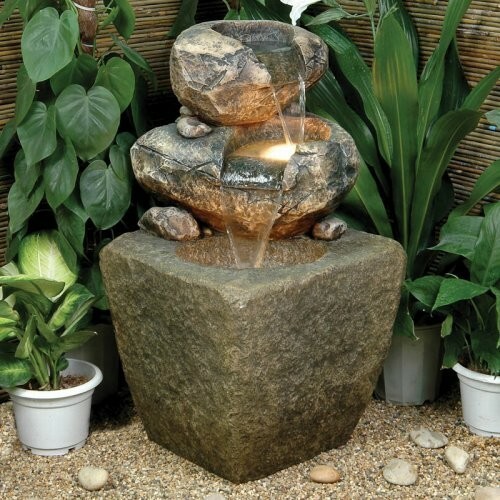 An outdoor water fountain can be made in the soil, placing the water pump in a small pond with bottom waterproofed with foil or ready bought plastic pond like preformed ponds. When we talk about indoor water fountains, they can be built only on the surface,through the construction of an arrangement of stones, pottery, depends on your imagination. Disadvantages:-you'll need some artistic abilities. Conclusions:This hobby, practiced only in you spare time, can easily become a good source to make more money. 0 Response to "Building water fountains"